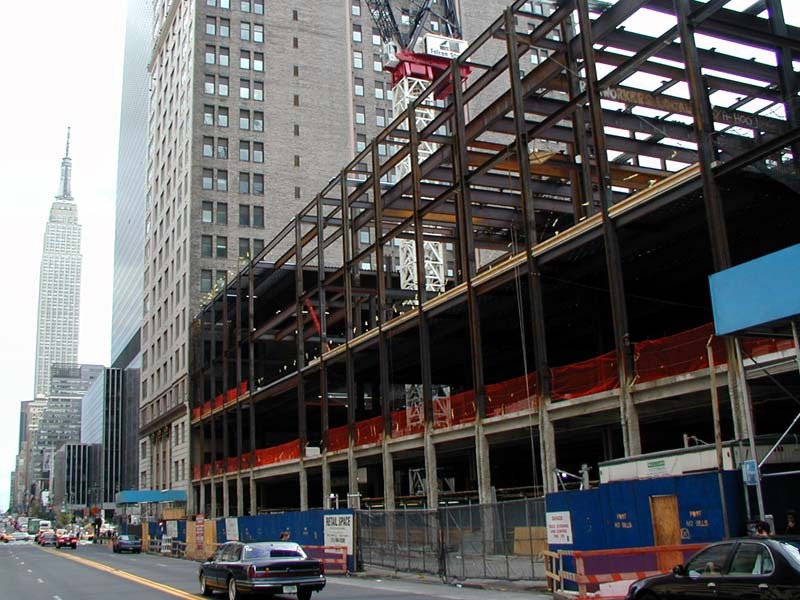 The Pennmark in May 2001. Behind and to the left is the New Yorker Hotel. In front is the Glad Tidings Tabernacle, an Assemblies of God Church. 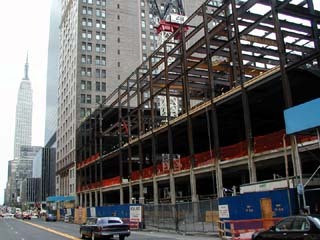 Construction site of the Pennmark in September 2000.